1. I was attending a conference and presenting on how academics can make a name for their schools and themselves through the media. An interesting question came up in the Q and A: What do I do with a press clipping once it occurs? While there are a number of different tactics to apply, Bill George’s blog serves as an example of how academics can use their owned channels to highlight their media appearances. The CNBC video links on the right hand column of his blog are a great way of showcasing George’s credibility as a commentator. His site also summarizes his press mentions in print articles and blogs. Highlighting press visibility is also a good media relations practice – journalists will in all likelihood appreciate it. In an era of pageview journalism (journalist’s being positively rewarded for visibility for their stories), prominently featuring press coverage on a popular blog is a sure way to drive traffic to the media hit. Thus, a journalist will know that he or she has a trusted partner to count on in promoting their stories. So what are you doing with your press coverage? If they are buried in your bio page, or not displayed on any of your owned channels, then think about showcasing your coverage on a blog, similar to what Bill George has done. 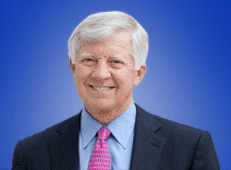 2) A number of Bill George’s blog posts feature his own expertise on management and leadership linked to current events. For example, George applies managerial and leadership insights in a post that analyzes the future of Obamacare, New Year’s resolutions and Nelson Mandella’s life. The majority of his content has a link to current events. So if you are thinking about what to write in your blog, then consider how your areas of expertise link to what is making news headlines.